Three members of the same family have died in a shocking case of carbon monoxide poisoning, with two of the family’s pet dogs also falling victim to the deadly toxic gas. Over the weekend Trevor Wallwork and his two young children have become the latest fatalities of the silent killer as they sat watching television at their remote bungalow in Co Sligo, Ireland. Mr Wallwork’s step-daughter Vicky Barnes, 22, discovered their bodies of fifty-two year old Trevor and daughter Kim, 12 and Harry, 9, when she called at the property after failing to contact the family late on Sunday night. Gardai (Irish police) are currently investigating the deaths, however it will be a number of weeks before toxicology tests will be completed. An autopsy has indicated that carbon monoxide poisoning was responsible for the fatalities, believed to have been attributed to an open coal fire. Forensics officers are continuing with their investigations, including establishing what ventilation there was in the sitting room, where all three members of the family were discovered in a sitting room, which was being heated by a coal fire. A gas container was also found linked to a heater in the hallway. The triple tragedy has left the local community reeling, made even more tragic given Mr Wallwork’s wife Susan is currently battling cancer. Every year at least 50 deaths are attributed to the poisonous gas. 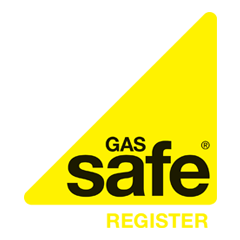 A faulty boiler or a gas fire are the most common suspects for carbon monoxide poisoning in the home.